Concerns about inflation and interest rates have been at the heart of stock market volatility this year. News of increased wage growth drove the sharp sell-off earlier this year, while a relaxation of interest rate concerns combined with a solid reporting season underpinned the subsequent recovery. While markets are showing signs of taking a wait and see approach to higher rates and their impact on equity valuations, concerns persist. In this context, investors appear unwilling to push stock indices to new highs. Having recovered towards those highs, gravity now seems to be taking its toll, with traders taking the view that the balance of risk points to some profit taking. The same dynamics have taken hold in the oil market. US prices have baulked at pushing the US oil price past the $65 range that carries the risk of increased shale oil production. Energy may be among the weaker sectors on this morning’s market. US Dollar strength was one of the key features of international trading last night, with EURUSD showing signs of breaking below key chart support around 1.22 as markets react to the outlook for higher US interest rates. The Aussie Dollar is also testing chart support around .776 as traders wait on this morning’s Capital Expenditure data. 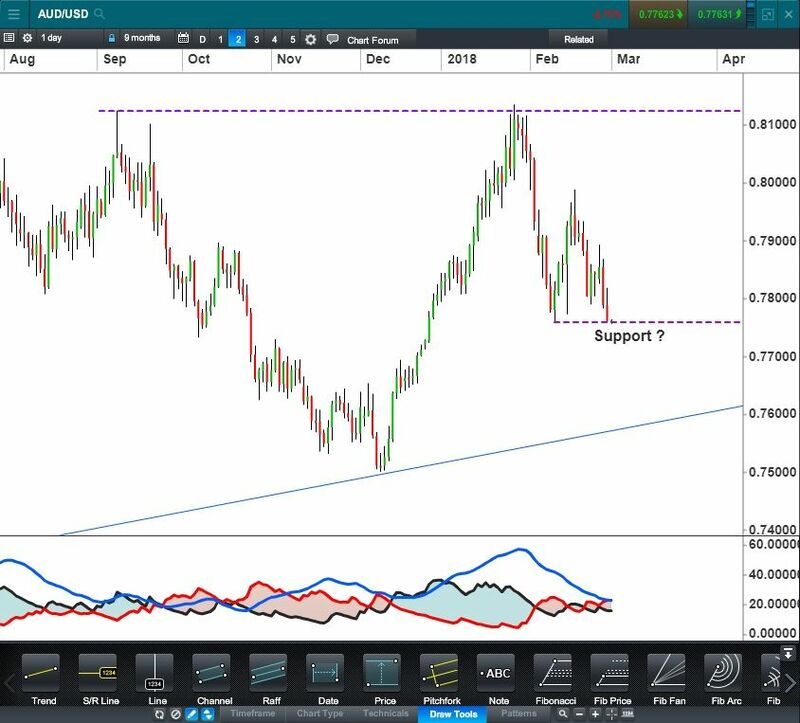 Markets will be looking for gradual improvement in equipment spending to hold the Aussie at this support.